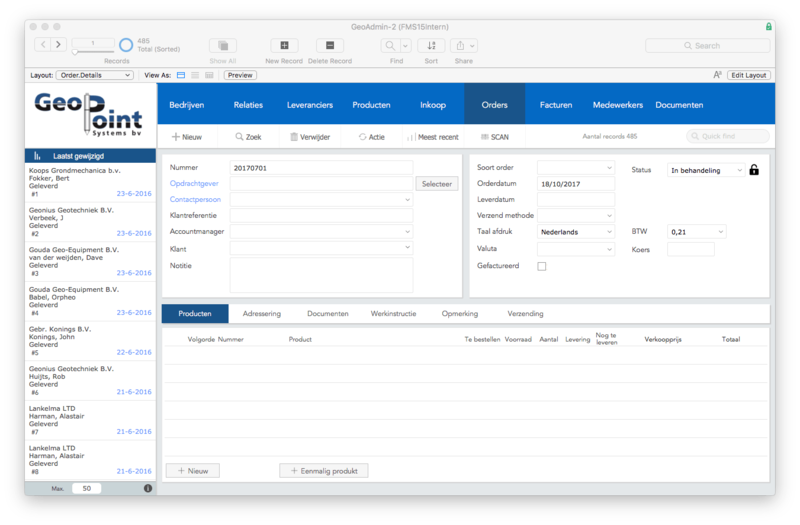 15 years of experience in a single FileMaker framework developed for accelerating customized projects. A set of modules that can be used directly for new clients. Brainstorm session? Curious whether FM Framework fits your project or company? The FM Framework allows developers to benefit from a rich collection of functions. 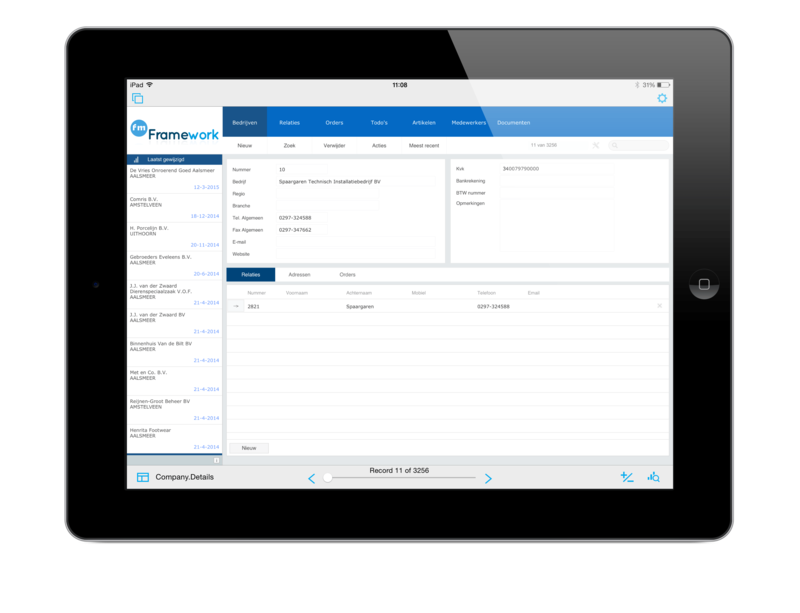 FM Framework offers a modular technical foundation designed to be configured per client, as desired. FM Framework offers a mature collection of functions and modules. This allows developers of Kempen Automatisering to focus directly on developing software solutions that are fully in line with your specific processes, wishes and requirements. Unlike standard software products, your organization is fully leading in customized software. The FM Framework allows developers to benefit from a rich collection of functions. As a result, solutions are developed in a uniform manner, which means that developers can easily take over and understand one another's work. Do you work with stock, procurement, sales & invoices? FM FrameWork offers you the modules. Expand existing modules easily with new modules & functionality. By deploying already developed modules, the development time can be limited. Well thought-out interfaces that work on iPad, Laptop & the web. Kempen Automatisering thus prevents "reinventing the wheel" in every project. Which results in considerable savings in time and budget which would otherwise be spent on developing basic functionality. With a FileMaker Framework you can focus directly on what makes your application unique. This means that every application immediately has a well-documented foundation that meets the latest standards. In practice we see that other developers often lose unnecessary time here. Leaving less time for the development of modules that you want to use. • Connecting companies to clients. • Sending data per email. • Setting up rights per type of user. • Standard navigation in the form of modules functions.